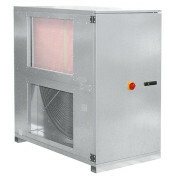 version V – with upper connection of ventilation ducts and large inspection doors. 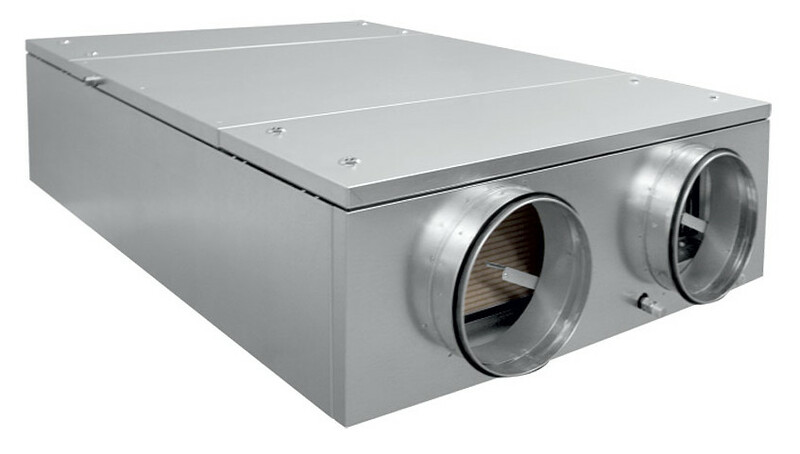 H version – with horizontal connection of ventilation ducts, possibility of execution in right or left version (standard version of the right). It can be mounted on the outside using an optional protective visor. Housing made of double jacket made of galvanized steel sheet, made without skeletal structure – the creation of the so-called cold bridges. 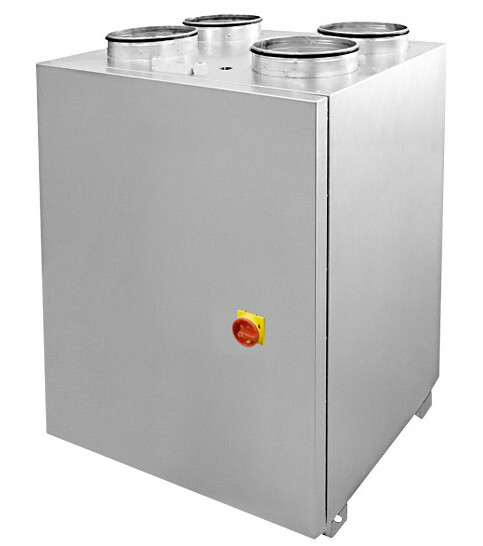 To achieve the desired parameters of the supply air, secondary water or electric heaters with the capacity of 3, 6 and 9 kW were used (for 2400 models electric heaters are an accessory). The SALVA control panel is equipped with high quality EU7 class panel filters at the fresh air inlet and EU5 class at the inlet air outlet. 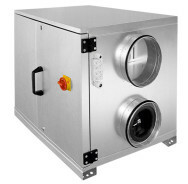 The filters meet VDI6022 standards in the field of hygiene standards. 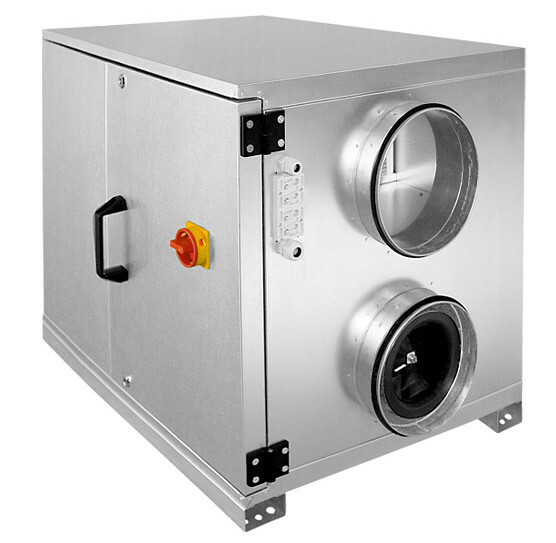 The SALVA model is equipped with an aluminum countercurrent cross-flow heat exchanger providing 85% heat recovery with low pressure drop values. Class of regenerative heat recovery H1 (according to DINEN 13053). By default, the control panel has an automatic bypass with a throttle. 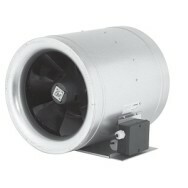 Energy-saving JETTEC EC diagonal fans with electronically commutated motors. Three-speed speed regulation. The work stages can be individually adjusted to the full extent and allow ventilation on demand. The SALVA recuperative unit is ready for use, wired, with automation installed, a service switch and a control panel.